Would You Lend Yourself the Money? How Severe is the Need? While it is true that a consumer can use payday loan funds for any expense, it is not always wise to do such. The first thing a person should consider before taking out a cash advance is if the need outweighs the aggravation. Payday loans have an extremely short life. Borrowers normally have to pay back these advances within 31 days. Therefore, they should only be taken if the borrower has an emergency. A good example of an emergency that may require a payday loan is an auto repair. Another example of an emergency is a past due utility bill. A vacation expense or a shopping spree is an expense that the consumer can put off. He or she can save for it every week. 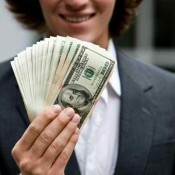 The most important point for a person to consider before taking a payday loan is whether the money is available. Figuring one’s disposable income takes a bit of calculation and consideration. A consumer can easily calculate his or her disposable income by adding up his or her sources of income and subtracting the monthly bills. The figure that is left after the deduction of expenses is called disposable income. Disposable income is money that is left for the consumer to use at his or her leisure after the bills are paid. If the person’s disposable income leaves enough for a lump sum payment plus finance charges, then the consumer will be safe taking a payday advance. However, if the disposable income does not match the amount of the loan and fees, the individual should be responsible and not take a payday advance. A person cannot create something out of nothing. No person can pay back with something that he or she does not have. Therefore, people with less disposable income could perhaps search for a more suitable way to get cash. Borrowing from friends or family members might be an option if the person needs more time for repayment. Installment loans are another option because they allow the consumer to stretch payments out over an extended time. Finally, a consumer thinking about taking a payday advance should ask himself or herself “Would I lend myself money?” That person should consider his or her financial status, level of responsibility and maturity, and honesty. This is the most crucial part of the decision making process when it comes to quick cash advances. All consumers know whether they can handle an extra bill or not. Making a decision is just a matter of taking an honest look at one’s financial profile and doing the right thing. If a person cannot answer that he or she would approve a self-loan, then that person should not apply for a payday advance. Taking a payday advance against one’s better judgment can land that person in a never-ending cycle of extending loans and paying nothing but interest charges. Every consumer should take the time to make the most intelligent decision first.